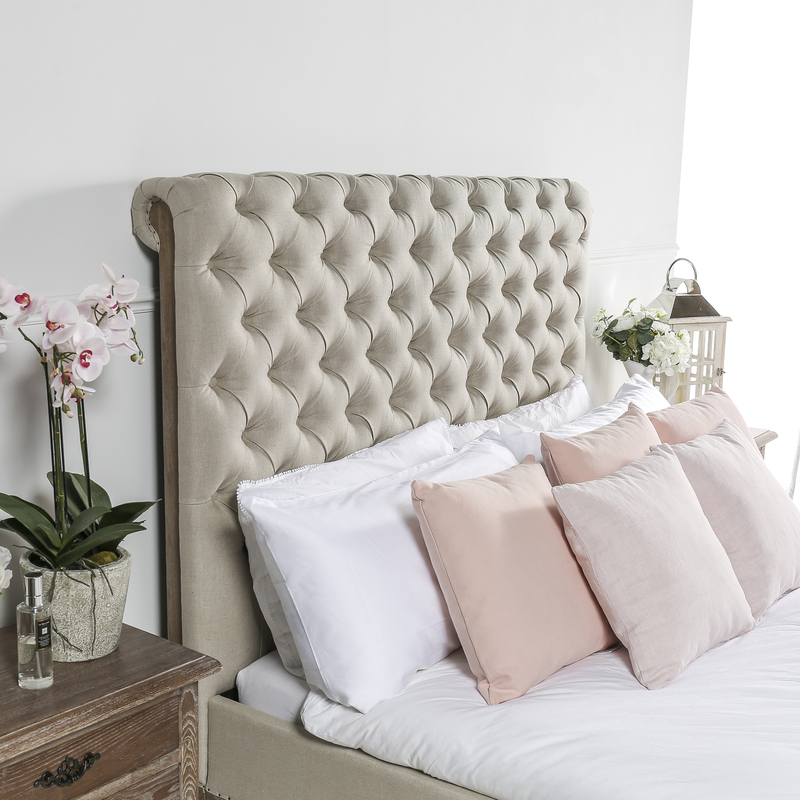 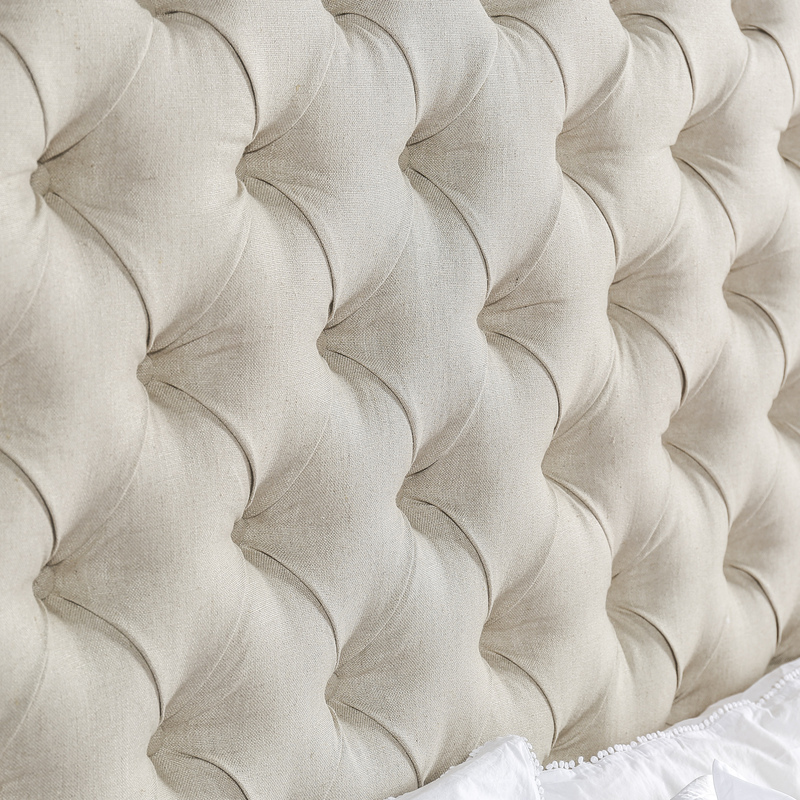 Inspired by the unadorned beauty of their grandfather’s 19th-century wing chair – liberated from its linen upholstery and the frame exposed – the Van Thiels replicated the old World artistry in the Deconstructed Chesterfield Bed. 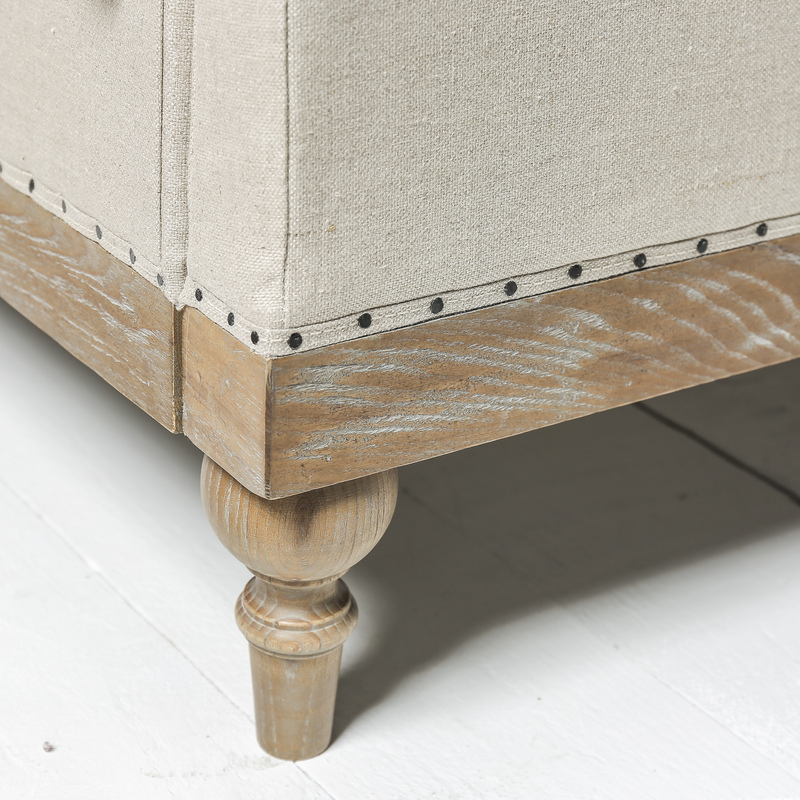 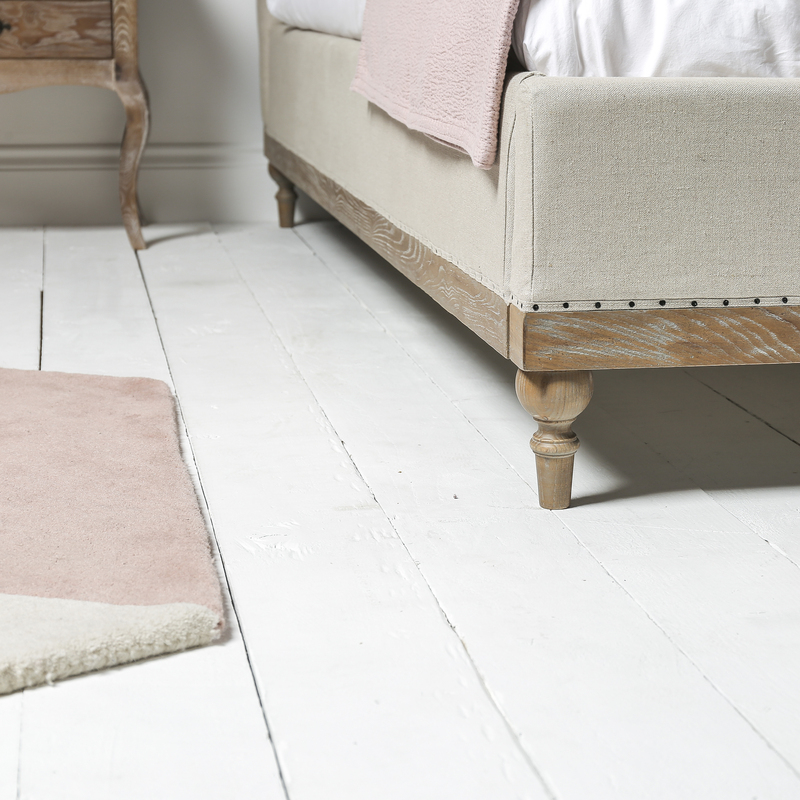 A distressed Oak frame, accented with nail tacks, is complemented by the texture of burlap and Belgium linen fabric. 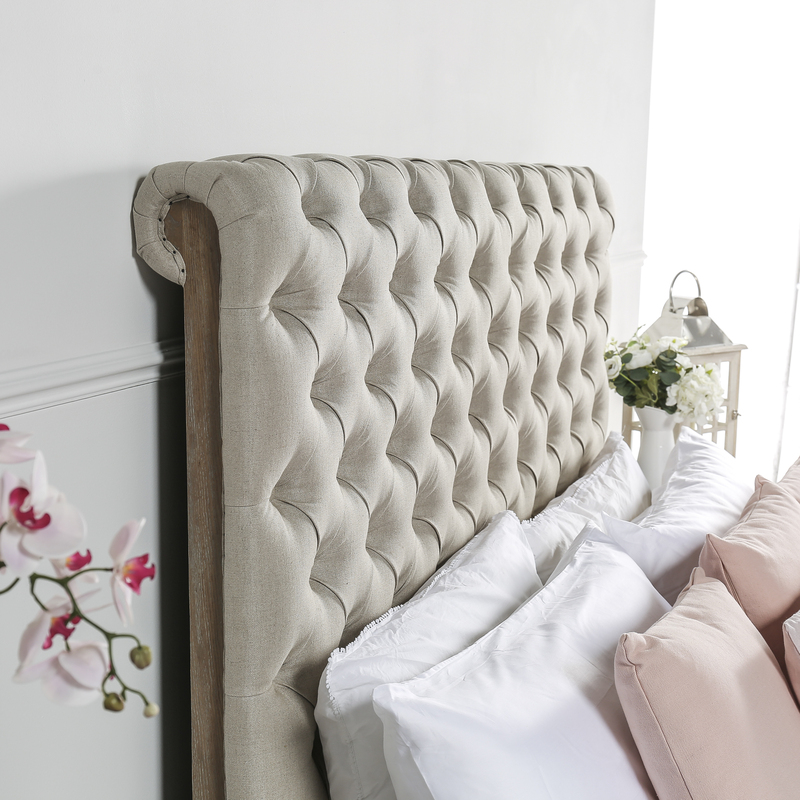 We only stock this bed in a King size.